LaToya A. Robertson, a native of Baltimore, Maryland, was born on November 7, 1977. She accepted Christ at an early age at the Mount Moriah Baptist Church under the leadership of the late Rev Dr. Arthur J Benn. In her youth, LaToya was active member of the Junior Courtesy Guild, Junior Usher’s, The Benn Choral Ensemble, and the Youth Ministry at Mt. Moriah. She later became a member of the Deaconess and Minister’s Wives and has served as Vice President for two terms. She served as one of the Church’s Wedding Coordinators and the Corresponding Secretary for the Women’s Ministry. 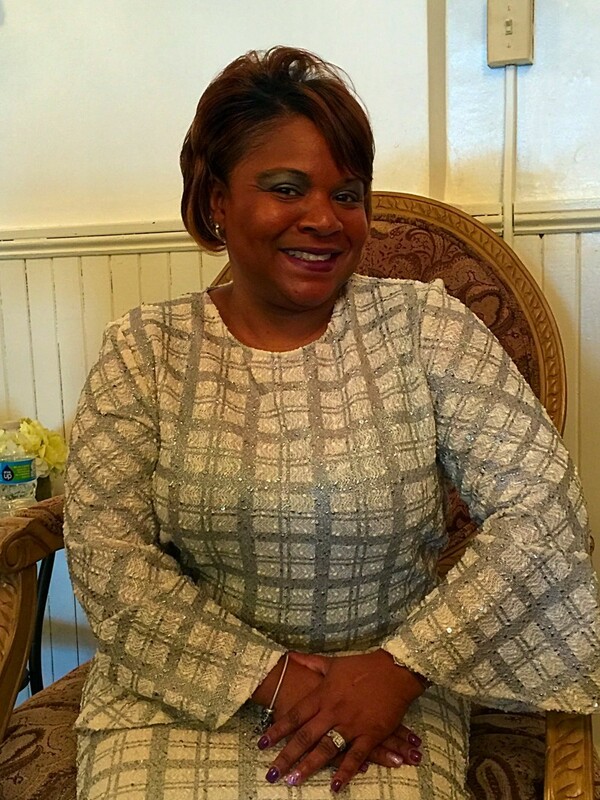 LaToya served as the 2nd Vice President of the Greater Baltimore Fellowship of Minister Wives and Minister Widows and currently serves as Financial Secretary. In addition to, she is a member of the International Association of Minister Wives and Minister Widows, Inc.
LaToya is a graduate of Coppin State University with a Bachelor of Science degree in Management Science (Business Administration). She is currently employed by the Social Security Administration (Headquarters) and has worked there for over 15 years. In April of 2002, LaToya married Minister Kobi D Robertson and they are the proud parents of two sons, Dazuruis Journe’ and Khayri Charles. As Christ continues to lead the LaToya, she is inspired by one of her favorite versus in the bible which is Jeremiah 29:11, “For I know the thoughts that I think toward you, saith the Lord, thoughts of peace, and not of evil, to give you an expected end.” LaToya strives to be all that Christ has called her to be and to walk boldly before Him with exceeding joy. Although she is very quiet, she is always willing to extend her hands.